With R100 being donated to the Childhood Cancer Foundation (CHOC) for every tackle made in 2019, all eyes will be on 2018 tackle toppers, Kwagga Smith and his Lions teammates. The average rugby tackle generates around 8Gs of force. And given that there were 428 tackles attempted in last year’s Vodacom Super Rugby final between the Crusaders and the Lions, there is some pretty serious impact being generated in each game. The kind of impact that Vodacom and SuperSport are hoping to make in the 2019 tournament. 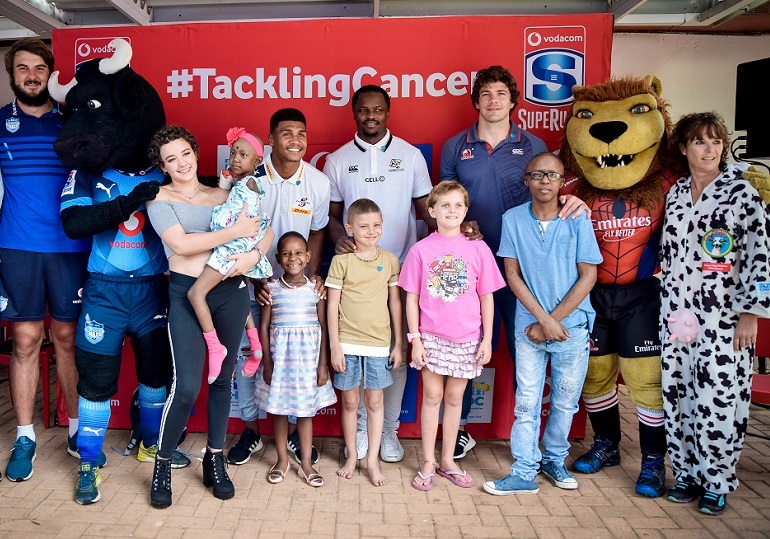 For every tackle made by a South African player, the two companies, together, will donate R100 to the Childhood Cancer Foundation (CHOC) in support of those who are taking even bigger hits on a daily basis. The aim is to raise R1 million. For a total of 9 097 tackles made, meaning R 909 700.00 would have been raised in 2018. With 1 373 tackles missed by SA teams last year, though, CHOC would have missed out on R 137 300.00! So with a little help from the defence coaches, Vodacom and SuperSport may well reach their target of R1 million for CHOC. Rugby fans can contribute by adding R5 to every Super Rugby match ticket purchased, buying CHOC merchandise at all SA derbies, or making a donation at www.choc.org.za. 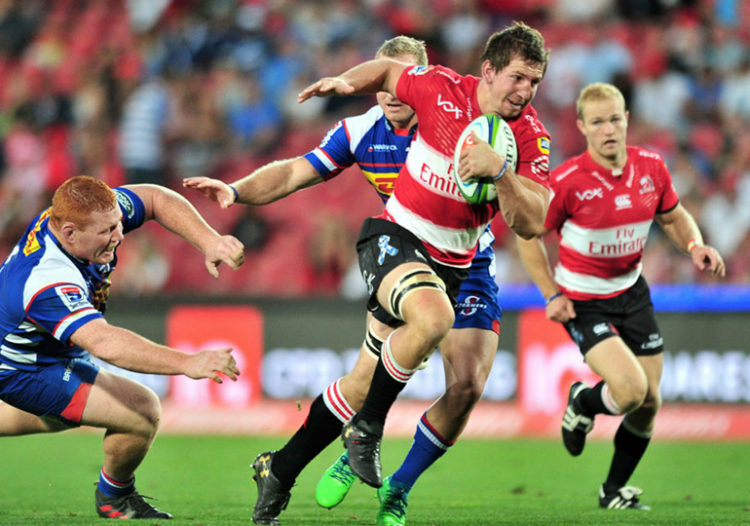 A season of superhero inspiration will see the Bulls take part in a CHOC hospital visit, the Lions and Stormers host CHOC House Parties, and the Sharks take the CHOC children for a movie night. For 40 years, CHOC has been providing nationwide comprehensive support to children and teenagers with cancer, life-threatening blood disorders and their families. “We are extremely grateful to be part of the initiative, especially in this, our 40th anniversary year. The children and teenagers with whom we work are superheroes themselves, having to face many a daunting challenge on their cancer journey. CHOC is proud to walk this journey with them and their families and we know they will be very excited to have a few real-life superheroes to spend time with” said Carl Queiros, CEO of CHOC. It is a very worthy cause and deserves all of our support. From a rugby perspective, the stats are interesting though, they sometimes sway opinion in the wrong direction, if presented in a misleading fashion! The CHOC award this year will likely go to not only the most prolific tackler, but this linked with the team that goes the furthest in the competition. For example, in the 2018 stats Kawagga played in the semi-final and final whilst the others did not, so he had more opportunity! GP=games played, TM = tackles made, TPG = tackles per game TMD = Tackles missed, TM% = tackles missed as a percentage. This surely begs the question, do we really reward Super Rugby performance as our National selectors suggest we do? Did nt think it was even a question, its plain to see, the boks are selected mainly from the bulls and stormers, saru’s favourites, even though they are both SR bottom feeders. SR form counts for jack sh!t. Of course we dont,-we have to firstly have a 50% team, then we can look at other stuff. Any team in the world would be happy to have Kwagga on the bench for the last 20 minutes, the man is a machine. The problem, – he is a white machine in a position where we have a bunch of black machines. You do know why kitchen appliances are mostly white? Can you tell us why, SweetAz? cause they use racist selection policies thats why. They have to work, consistently and reliably. And so you’re suggesting that with humans (rugby players in this instance), the difference between those who work reliably and consistently and those who don’t is the colour of their skin? Yes we’re all tired of the quota issue Sweet, none less our National Captain, but you miss my point. What I am saying is that the article champions Kwagga, but if you look at the stats on an even playing field, the other two are head and shoulders above him! Not too many international teams would be happy with an 18% mis-tackle count – he needs to work on that! PSDT is on most of our favorites lists and is well recognized for his hard graft, but Van der Walt flies under the radar and does not really get the recognition he deserves! Sure he has to work on his MTC but the fact is he is still in the top 3,—–WAYYYYYYY ahead of Notshe, Kolisi, Nizaam Carr, Oupa Mahoje. Is Lood getting bigger ? I have a theory about this missed tackle debate and these stats are extremely subjective anyway. There are players who make tackles no matter the risk and then you get the duckers and divers, players who purposely slow down or angle off to avoid the tackle. There are some who avoid the ‘big boys’ while others like Elton do not shy away from being run over despite his small size, If you hardly tackle in a match you can hardly miss any not so ? Some of those missed tackles could be for a player alongside him not tackling when he should which means he misses the tackle when he tries to cover for the other player.despite being wrong footed. There are a multitude of other reasons that contribute to missed tackles and the high missed tackle rate cannot be a poor reflection on a players commitment to the cause in fact it’s the dead opposite. Anyway this whole idea of rewarding for tackling is nonsense imo. What it should be is rewarding the amount of tries scored. The example given in the article raises R907.900 for tackles made. If tries scored in 2018 is taken into account more would have been made if R500 was donated by those companies for each try scored. In this way the Lions ( 88 tries ) the Sharks ( 50 ) the Bulls ( 59 ) and the Stormers ( 46 ) would have contributed R1.215.000 to the cause a 33% increase over the tackle count amount. Of course if the other Franchises improved their expansive game like the Lions have done the amount would be considerably more and the teams may even improve their poor results along the way. My solution is more lucrative for the needy and easier to monitor. Cheers. Herman, Jantjies can’t tackle. Compare him with Barrett and McKenzie, if you will. They’re not big guys, but they complete their tackles. Why? Because it’s their job. It’s as easy as that. Call a spade a spade. No, missed tackles are plain missed tackles and a mere two Lions players contributed 87 al by themselves. You simply can’t expect silver ware when you have these sort of stats in your midsts! Shows how good the Lions are in fact, hence my philosophy on tries scored trumping dom krag defence. Three Finals in three years and yet defence poor you say ? What is the excuse then for the three other ‘defence driven’ Franchises ? I’ll answer that for you, useless with ball in hand. Cheers.